Music Business Worldwide (MBW), a fellow publication, estimates that Mumford & Sons, the acclaimed British alternative-rock band, lost a minimum of three million dollars to the hands of scalpers and secondary ticketing sites in 2016. The figure could be half of that and still give pause for thought. As MBW suggests, moreover, it may well be that other prominent artists including Adele, Chance the Rapper, Radiohead, Iron Maiden, and The Pixies, are suffering a similar fate. Mumford & Sons are a casualty of the pre-purchase of concerts tickets for price gouging. But fans and music intermediaries are hurt too. As Adam Tudhope, founder the group’s management company, says: “ [this] ‘value gap’ [is] extracted from our fans [against our will], and we get nothing.” Tudhope might as well be speaking for all managers, booking agents, and many concert promoters and venue owners (as will be shown later, venue owner Live Nation, the live music entertainment giant, plays in the secondary ticketing market and is less affected). In the first sale of tickets, of course, money paid goes towards the artist and the promoter, and includes only a reasonable ticketing fee. One might add that record labels and music publishers are also victims of secondary ticketing. If recording contracts include ancillary royalties from merchandise sales, for instance, the opportunity cost of the $3 million could be high both for Mumford & Sons and its label. Moreover, had fans spent that money on physical or digital music sales, or tickets for other shows, the value of performance collections from other concert venues, as well as the mechanicals paid to publishers, could help songwriters. In fact, the short-term exploitation of fans in the secondary ticketing market adversely affects the bulk of the music industry. Growth in the secondary ticket market is fuelled by quick changes in technology that allow bots to raid online sales in an instant. The size of the market is of the first order. Conservative estimates put it at $2.3 billion globally for 2015 and growing, roughly the same size of paid subscriptions as reported by the IFPI (International Federation of the Phonographic Industry). Many, like MBW, suggest the number may be much higher. Market size has to do with ticket multipliers. Secondary sites often resell tickets at up to forty times their original value. Demand outstrips supply for marquis events, and fans still spend on such markups: there is an asymmetry of information that plays into the reselling business, for the true market value of a ticket cannot be known for sure by a fan after the first sale. The result is that big and small money rushes in to take advantage of this arbitrage. The main players today, for example, are eBay and Live Nation/Ticketmaster (the latter two companies merged in 2010). eBay owns StubHub, the biggest ticket reseller. Ticketmaster is second, with Seatwave and GetMeln. Both companies are in stiff competition with each other, and neck and neck over live music. Coming behind them is a host of smaller scalping platforms that seem to be growing by the minute. The bulk profit of secondary ticket sales go to the corporate and rogue resellers and the platforms through which they trade. The platforms that purchase and resell tickets usually charge a commission of 30-35%. Indeed, Mumford & Sons claimed that about a third of the $3 million allegedly lost went directly to such platforms. Ticket resellers themselves pocketed the remainder. These were not music fans but professionals trying to extort the highest rent on the back of a hit music act. Only one out of every ten resellers is reportedly a fan, so ticket resells generate much money outside the trade. They ultimately feed an alternative echo system that is greedy for profit and which does not crossover into music. Ironically, the hope for change lies in the big players, for they can engage new paperless ticketing technology that would make secondary ticketing irrelevant. Take the case of Live Nation/Ticketmaster. Though it benefits from the secondary ticketing market, being a player there creates short-term friction with the talent it needs to fill its arenas. Moreover, secondary ticketing tends to push concert prices up, for artists are afraid to settle for a lower ticket sale value when high prices are obviously paid in the secondary market. And because Ticketmaster deals directly with ticket sales, consumer backlash over expensive tickets is bad for business long term. Therefore, Ticketmaster supports the move to paperless ticketing even when this would mean banishing the secondary ticketing market where it is a key and profitable player. Indeed, the company has called to eradicate ‘legalized scalping platforms’ (including those where it has an interest) through paperless ticketing. Skeptics might argue that Live Nation/Ticketmaster is too heavily invested already to engage change earnestly and fight for paperless ticketing. The official company line has been that it will both seek to actively integrate its secondary and primary ticketing functions for the benefit of fans and that it will add more dynamic pricing to first sales to help artists (by issuing more VIP, Platinum, and P1 tickets). But the conflict of interest is a matter of record, so critics can say that it is still legitimizing the market’s secondary inflated prices. Indeed, according to the latest Live Nation report, the company makes about $1 billion from secondary sales, from total revenue of $19 billion in 2016. Live Nation’s music revenue, a part of the $19 billion total, is more like $3bn to $4bn, and if so this suggest secondary ticketing music sales of about $200 million in the US: nearly one out of every five dollars is coming from its parallel resale market. And every one of those secondary ticketing dollars is projected to grow over and above any dollar in the primary sale market. Ticketmaster puts the figure at 33% annually, more than double the 14% sales’ growth of its first sale business. If a paperless ticketing system were to go through it would enable ticketing companies to link each ticket to a specific person, which would make the tickets non-transferable. This would hinder scalpers from buying large quantities of tickets in order to resell them at a mark-up, but it also denies legitimate fans the chance to sell or transfer their ticket in case they are unable to attend the show. Secondary markets in finance, say for stocks and bonds, reduce the risk of a purchase not having the requisite liquidity in the event of a desired sell-off. Where there is an active secondary market, investors will be more active for they can sleep well at night knowing that they can liquidate their holdings at short notice. The same happens with live music tickets. If a fan knows that a resale is possible, the risk of purchasing that ticket and losing the money in the event of a change of heart or personal emergency is diminished. With a secondary market, the primary sale business is generally stronger. Largely because paperless ticketing could lead to the strangulation of the secondary business (except for face value reselling at Ticketmaster’s own site), paperless ticketing has had a checkered history. Miley Cyrus’s 2009 World Tour, in conjunction with Ticketmaster, was the first ever to implement an exclusively paperless ticket strategy for a major artist. In the event, the tour did not sell as well as expected. The absence of paper tickets and secondary market vendors, it seems, was one of the reasons that fans stopped short of making a purchase commitment, for without the secondary market they risked losing the face value of the ticket if they were unable to attend the concert. Ticketmaster kept on pushing for a paperless ticketing strategy anyway, later making it possible to resell paperless tickets within their authorized website, then verifying that the resold tickets were not overpriced. But Ticketmaster could not corner the market on its own, and if the parallel secondary market was going to survive anyway, a two-pronged strategy was inevitable. So Ticketmaster worked for paperless ticketing while keeping its options in the secondary market alive. And even if one were to discard the idea of a vendor playing a two sided game, double dipping in the competitive parallel market and, therefore, enabling it (in this paperless ticketing is quite different from airline ticket sales to which it is often compared), there is some friction in the process that does not sit well with artists and concerts promoters. The paperless process, with ID check and credit card confirmation, takes much more time at the doors. Extra staffing is needed at the venue and ticket holders spend more time getting into the venue – while they could be instead spending on merchandise, food, and drinks. Nevertheless, secondary ticketing detractors are becoming more vocal. Mumford & Sons, as well as Adele and the other artists listed at the top the article, are drawing public attention, reaching out to their fans in the hope of educating them and making them advocates for more comprehensive legislative change. Mumford & Sons, for example, has partnered up with platforms, Music Glue and Twickets, both of whom are trying to reinstate the fan-to-fan market approach rather the tout-to-fan sell. The two companies intend transparency in ticket transactions to deter scalpers. The band also promotes the Fan Fair Alliance that lobbies for legislative change and the enlightenment of consumers in the UK. Their efforts to suppress secondary players seems to work, as only Stubhub is currently listing tickets for the band. Chance the Rapper recently joined the fight, if somewhat unconventionally — by buying over two thousand tickets from secondary vendors and scalpers, and selling them to his fans at face value. Such a heroic solution is unlikely to be adopted by other artists, but in a world where artist-fan relations are more closely mediated than ever, Chance the Rapper sent an unequivocal message that he stands behind his fans even at a cost. It has been argued that secondary ticketing is syphoning an important amount of revenue away from artists and others in the music supply chain. The point has been made too that secondary ticketing has a place. In particular, the knowledge that a buyer can exchange a ticket in the secondary market if something changes between the time of the ticket purchase and the day of the concert drives more primary sales at live music venues. Cash is tendered with the expectation that it can be recovered, and the alternative to no secondary ticketing is a primary market with no guarantee of ticket refunds. This would hurt the live music business. But it is about time to ask if things have gone too far in aiding and abetting secondary sales. Technology has produced bots that can raid the market and manipulate it to their advantage. The result is bad for up and coming new artists who tend to target younger age groups that cannot afford the steep ticket prices of the secondary sale. Well known acts also wish to engage younger audiences to energize their fan base, and the high value of resold tickets puts them out of range for them too. Engaging everyone in the music supply chain against overpriced tickets, including artist managers, booking agents, and not least Live Nation/Ticketmaster and eBay, is better for the business. Live Nation/Ticketmaster is aware of this and, as mentioned, is looking for a compromise. So there is much political capital that can be made by a joint industry approach against the excesses of the market. Overall, if the music marketplace is denying access to live music events to many people and benefiting above all, a special class of outside players, there should be consequences. “A Bloody Fortune – The Real Cost of Secondary Ticketing.” Music Ally 396 (2016): 1-7. 28 Sept. 2016. Web. “Ticket Touts Made $3m from the Last Mumford & Sons Tour. $0 Went Back to the Music Industry.” Music Business Worldwide. 06 Sept. 2016. Web. Oct. 2016. Malt, Andy, and Mark J. Perry. “Artists to Blame for Secondary Ticketing Boom, Says Economics Professor.” 6 July 2016. Web. Oct. 2016. Hassan, Charlotte. “Madison Square Garden Executives Caught In Dirty Ticket Reselling Scam.” Digital Music News. 27 Jan. 2016. Web. Oct. 2016. Ingham, Tim. “Team Adele Wages War on Ticket Touts – and so Far It’s Working.” Music Business Worldwide. 5 Dec. 2015. Web. Oct. 2016. Servantes, Dan. “Ticketmaster and the Business of Scalping.” Music Business Journal (2013). Music Business Journal (Oct. 2013). www.thembj.org. Lindvall, Helienne. “This Is How Mumford & Sons Defeated Secondary Ticketing Sites….” Digital Music News. 16 July 2013. Web. Oct. 2016. Fabi, Christina. “Ticketmaster Fights the Secondary Market with Paperless Ticketing.” Music Business Journal (July 2009). 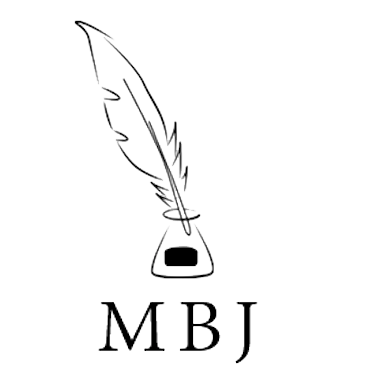 thembj.org. Thanks MBJ. A nice read.